November 26, 2018, (Phoenix) – Mobile Concepts Technology (MCT), a distributor of rugged technology devices for government agencies such as fire departments, law enforcement, EMS, and state and local departments, is pleased to announce that it is now a Panasonic Edge Partner. Edge is a dedicated handheld channel program, designed to support value-added resellers in the sector, offering qualified resellers dedicated marketing, sales and technical support. With almost a third of its rugged mobile device range now dedicated to the handheld market, Panasonic’s is expanding its success from the rugged notebook and tablet markets to the handheld sector. 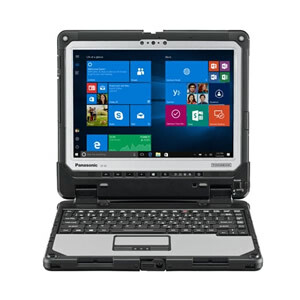 The Panasonic Edge program gives partners immediate access to the Panasonic FZ-X1, FZ-N1 and FZ-T1 handheld tablets as well as the FZ-A2, FZ-B2 and FZ-L1 fully rugged tablets. With these rugged Android tablets, mobile workers in the most demanding environments can have all the computing power they need in a handheld tablet small enough to drop in a pocket. The device’s unique angled rear barcode reader protects against repetitive strain and enhances user productivity. They have established a reputation as the mobile handheld device of choice for workers in industries such as public safety, transportation and logistics, retail and manufacturing. Panasonic Corporation is a worldwide leader in the development of diverse electronics technologies and solutions for customers in the consumer electronics, housing, automotive, and B2B businesses. Celebrating its 100th anniversary in 2018, the company has expanded globally and now operates 495 subsidiaries and 91 associated companies worldwide.